Hailsham is a small town in the Wealden District of East Sussex, at the gateway to the South Downs National Park. 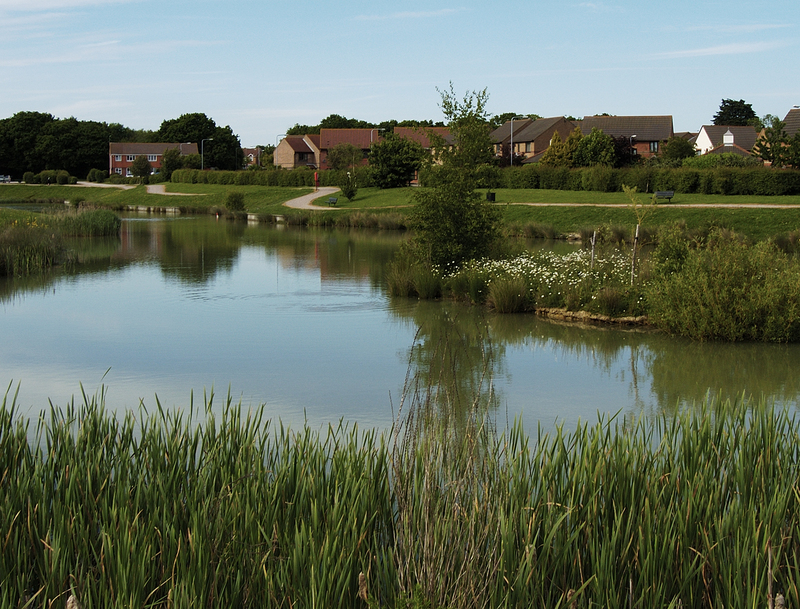 It is convenient for travel having easy access to the coast and coastal towns, airports, and London. The town has a mix of old and new and there are interesting medieval buildings. It was a small town by the end of the C13th . Henry III licensed a regular Cattle Market here in 1252. More recently it still sells calves, ewes, pigs and cattle including Red Sussex and Black and White Friesians. There is still a cattle auction in the Cattle Market, Market Street, into which it relocated from the Market Sq in 1871. There is also a regular Farmers’ Market on the second Saturday morning of the month. The market offers a wide range of local produce. Thomas Burfield founded a string factory here in 1807, and George Hawkin, a gun and saddle maker, founded another here 1824. In the past it made string for hangman’s ropes. String making began as a cottage industry in Hailsham, the C19th String Town. For many years string manufacture was an important source of employment. On 30th September 1891, the Eastbourne Gazette reported a fire which engulfed the Green Brothers string factory. There has been a church here since at least 1229. Little, if anything, remains of the original church building. The present Perpendicular style building dating from the early 1400s, has a 70 foot square tower. And, in the corners of the tower are pinnacles with C19th weather vanes on top. Similar to many others, the church was much repaired and improved in the C19th. With one exception, all the church windows, which were mostly Victorian, were destroyed by a bomb in 1943. Hailsham Pavilion, an independent theatre, cinema and entertainment venue the community runs. The facility is fully accessible, and is pleasantly comfortable and elegant. A renowned choir of 65 singers which performs 4 concerts each year. The present choir has been established for 56 years. In 2017 the choir visited and performed in Normandy where they had a wonderful reception. 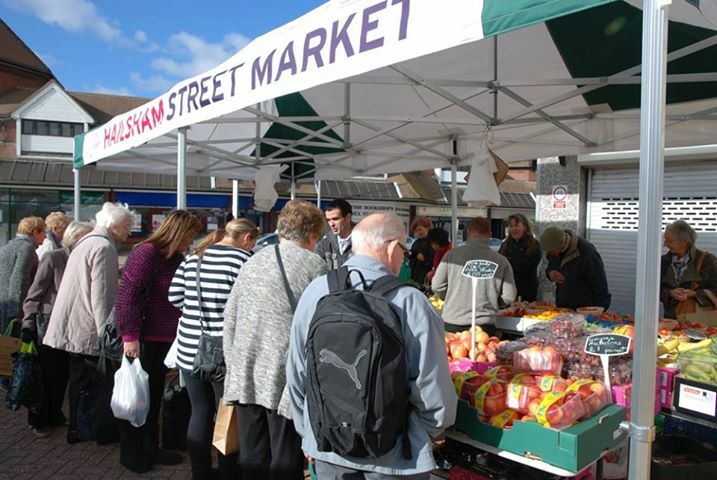 If you know Hailsham, why not tell us about it. 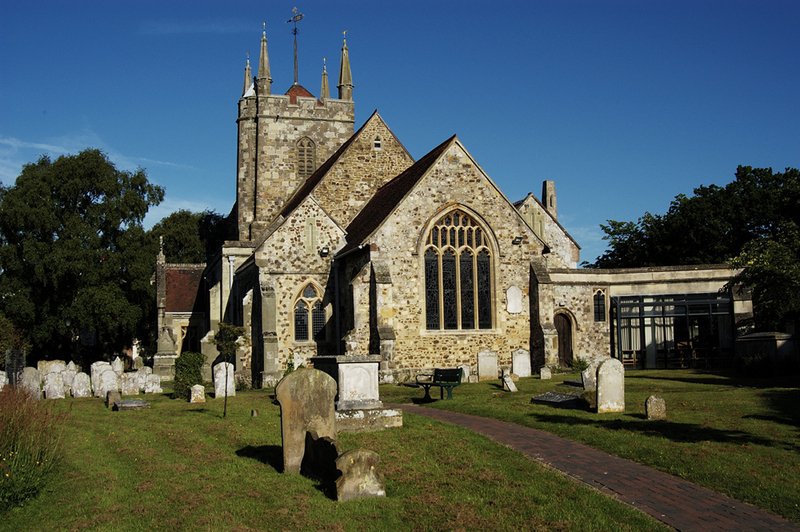 Next PostGodalming in Surrey, an ancient and pretty town, and a popular place to live.